The Shops at Lake Havasu has announce the welcoming of the newest food installment, 360 Grind & Grill. New owners, Candace Christie and Dustin Steele, also own and operate 360 Deli on West Acoma (near Mohave Community College). The new cafe/restaurant is located in the space formerly Social Bean and Chicago Grill, next to Star Cinema. 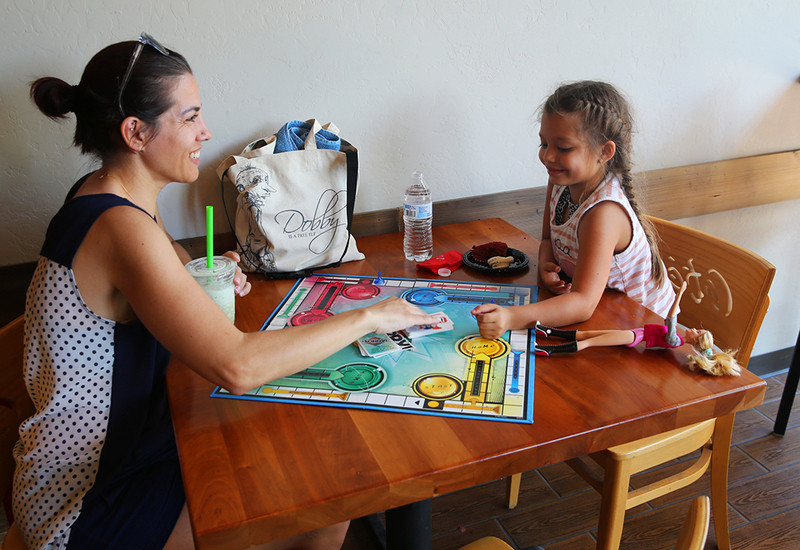 Lake Havasu residents have enjoyed the decadent sandwiches, soups and drinks at 360 Deli on West Acoma, which remains open. The family-owned business is expanding to The Shops at Lake Havasu and will feature a vibrant menu and fresh environment. The menu of the new shop will boast some favorites from the Deli but with new additions. The Grind side (was Social Bean) will remain a cafe style lounge area. There will be gourmet coffee drinks, smoothies and boba “bubble” tea. As well as a cafe, there will be a custom bakery that has the capability to make birthday cakes, wedding cakes and cupcakes, as well as ready-to-eat pastries. 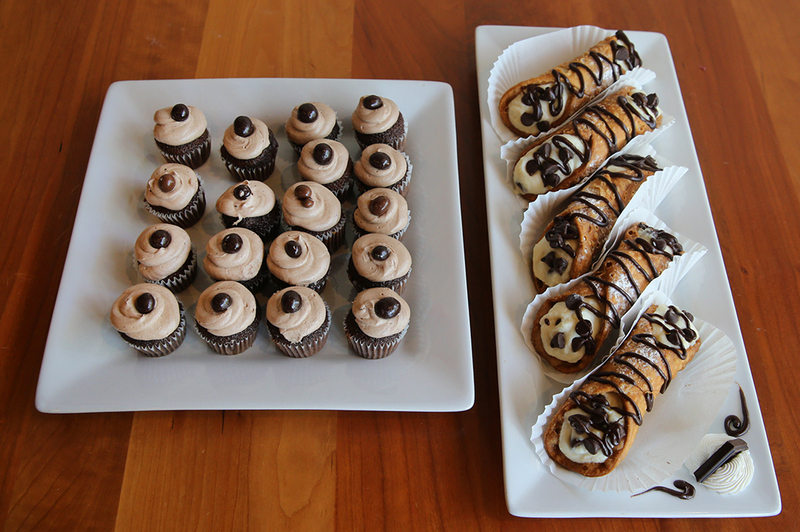 The baked goods will be ready to pick up for those in a rush or made-to-order for big events. All items will be fully customizeable to fit each customer’s needs. Heather Pace is the baker and decorator at the custom bakery. The lounge area will have comfortable seating and tables. There will be various board games available for guests as well as free wifi. On the Grill side, there will be sandwiches, hot dogs and other warm meals. There will also be soft drinks available and alcohol in the future. The menu will accommodate all types of food lifestyles. There will be gluten free, vegetarian, vegan and Keto options. To commemorate the death of former Chicago Grill owner, Scott, the grill will feature Scott’s hot dog, and a memorial shrine at the grill. The grill will feature table seating and flatscreen TVs to play sports events and other televised programming. “We want to make it a place to sit, have a beer, some food and watch the game,” Steele said. The two storefronts will be connected with a passing area. The passing area is wheelchair accessible. Christie and Steele plan to add some fun evening events to the stores for those who are not into the “bar scenes” and are looking for a place to hangout. There are hopes to have open- mic nights, poetry slams, board games and poker nights. “It’s going to be like 360 Deli, but on steroids,” Christie said. After Steele worked with the Shops on a separate project, he was made aware that the Chicago Grill and Social Bean was available for new tenants. Within two days, 360 signed the deal and moved in. They began renovations immediately and are now open. Because of more intensive equipment checks and menu alterations, the Grill side will be open at a later time. The 360 Grind & Grub is perfect for mall visitors, movie goers and families using the splash pad. The welcoming faces, friendly environment, and menu variety is sure to satisfy all tastes. Stop by and visit the newest eatery at your Shops at Lake Havasu. Store hours Monday-Friday 9:30am-6pm and Sunday 10am-4pm. I am so very excited about this!!!! YES!!! Best place in Havasu hands down!!! Keto friendly too!!! And now it’s way closer to me out here in the Heights!!! Sooooo happy!! !